Since school, art has been my main focus, and I have taught art and design privately and in colleges and galleries since 2004. Within my own practise I work with mixed media to consider the world around me, explore spaces, ideas, and reflect. I am passionate about getting people to draw, and currently exploring how creative activities, like observational drawing, can be used to support wellbeing. 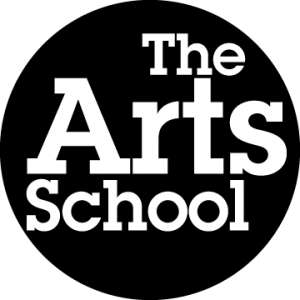 In 2017 I start The Arts School. I predominantly teach observational drawing and painting, aiming to help people start, develop existing skills, or helping artists to loosen their practise, or reengage. Do more, see more, be more. I teach the wide-ranging subject of Fine Art in galleries, schools and colleges including drawing, painting, mixed media, printmaking, portfolio development, illustration and graphic design. 2014 marked my 10th year teaching further education and leisure courses. I have taught on, and run, BTEC level 2 and 3 subsidiary and extended diploma in Graphics and Art and Design, A level photography and Art and Design, Access to HE in Art and Design and special needs and leisure courses including Gallery Studies and Life Drawing. I am also a professional event photographer, having many years experience capturing the excitement and beauty of weddings and similar amazing occasions. I create bespoke logos and branding for local businesses and support them and local arts group with using social media to develop their brand and advertise their events. My gift cards are available at Horam Emporium. September 2017 – Hailsham Artist trail and Art on the Green. Organising and exhibiting. Septemeber 2016: The Little Arts Festival, multiple exhibitions over 10 day festival. 28th September 2011 for 6 weeks, Beta & Space, The Nottinghill Arts Club, London. Exhibition by Mayer Cooke. March 9TH-23RD “RE:09-03″,The Toilet Gallery, Nipper Alley, Kingston, UK, Exhibition of Mayer Cooke based on collaboration, process art, re addressing past work and the female form. September 23rd-26 2010: In had and after (MA degree show) TENT LONDON @ Truman Brewery. July 2010: “Viewfinders – What are you looking at?” @the Mapalim Project Space, Queens Crescent – London. April 2010 – “Contrary to Popular Thinking”. A Collaborative exhibition,@ Kingston University. 2009 – “Index-Mass” @Toilet Gallery, Kingston. July 2004 – Degree Show Oxford Brookes University. Art on the Green, East Sussex. September 2014 Best in show.